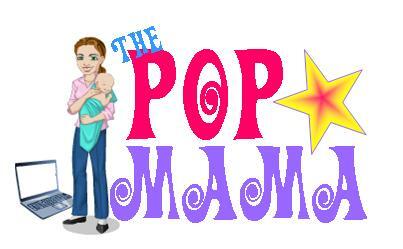 Pop Mama: Turkey and Vampires. Yum. Our Thanksgiving weekend was relaxing and full of family and FOOD -- not to mention heartburn and acid reflux for this very pregnant girl. I carry Tums around with me everywhere now and am looking forward to relieving my purse of the load when this baby arrives. Speaking of babies -- mine is going to be born in about 7 days if all goes according to plan and Kourtney Kardashian's is going to be born sometime this summer (I'm guessing). So, it is baby number 2 for Kourtney with the lovely (gag) Scott Disick. Seriously. As part of my prep for being a mommy of two I have done a little pampering...a pedicure, some spa time and some girl time with my friends. Over the weekend my fabulous friend Katie and I continued our tradition of going to see the Twilight movies together and we went to see Breaking Dawn: Part 1. Did we enjoy it? Yes. Did we have a commentary running the entire time that also included hitting each other during the cheesiest of moments? Yes. The people behind us probably hated us -- unless they thought our comments were as funny as we thought they were. I realize that the Twilight series is by nature very cheese ball, but I think that Breaking Dawn took it over the top at times. The last movie, Eclipse, was in my opinion the best so far and I had high hopes for Breaking Dawn. For example, there is a scene with the werewolves where their human voices are dubbed over like you can hear their thoughts...hmmm...I couldn't contain myself and was laughing out loud. Bad choice by the director. The movie was also too drawn out with long looks between the characters, sappy music and dramatic pauses. It was clear that the franchise was trying desperately to stretch the last book into two movies. Will I see the next one that premieres in November 2012 (why the dramatic wait?)? DEFINITELY. It may be cheesy, ridiculous and kind of bad, but I am a fan and it is harmless fun. Plus, Rob Pattinson was hotter in Breaking Dawn that he has been in any of the other movies. At least they got that right! I just read a report that Kristen Stewart and Rob Pattinson are planning to get married...I really hope that it is a rumor and not true. No, I don't want Rob to remain single -- I just don't advise any 21 year old to get married. Just keep dating you guys...I'm sure that is what they are doing anyways and the whole marriage rumor is just a PR ploy. Okay, I have to get off the couch now in order to wake up my sleeping child from nap so we don't have a meltdown later...I have a feeling that I am going to feel like the newborn is easier than my 19 month old..